How Much Money Can You Make Writing for Yahoo Contributor Network? Just discovered Yahoo! Contributor Network (YCN)? Perhaps you've been there a while and are ready to take it more seriously. The most common question I get as a writing peer mentor is "How much money can I make writing for Yahoo! Contributor Network?" The answer to that question depends on you and here's why. What is your average upfront offer? This will help you determine how many articles you should be writing per day to earn the figure you are looking for. You may want to start out with a low figure, such as $20 per day. As your skills increase, so should your earning amount per day. You may also find that within time, the number of articles you have to write to get to your daily goal decreases as your upfront offers go up. There are also assignments that come with higher upfront offers than unsolicited work. When those come along, it will take even less articles to get to your daily money goal. How many articles can you write in a day? Knowing the average number of articles you can produce daily can help you figure out what you should expect to earn as a Yahoo! contributor. Because payment will vary for each article, you may want to keep the number of articles you write in a day a little higher than what you think you need to write. If you can't handle writing the number you would need to in order to earn what you want to, you may not do very well at YCN or in article writing in general. How well do your articles perform? Are your articles getting a good amount of views? If not, study up on SEO skills to increase your performance bonus. Some people like to add this in the equation when calculating their monthly earnings. I prefer not to count it so that it ends up being a bonus. However, if you want to use this as part of the earnings potential equation, look at the average amount you earn each month and add that to your total from upfronts. This is extremely vital if you want to make money writing for YCN. If writing articles is not something you can do all the time, then you cannot make a living doing it. You've likely heard people say that article writing is an easy way to make money. It is -- if writing is easy for you. If not, then you may need to look elsewhere or learn to adapt real quick. What are people searching for at the moment? This falls in line with the performance equation. If you write about big blue bunnies and it happens to be a popular topic at that moment, you will likely receive more views (thus make more money) than you would if you write about tiny yellow chicks when no one is interested in that at the moment. That said there are also timeless topics, which most web writers refer to as 'evergreen' topics. Those are the common things people search for all the time, like puppy care tips or household hints. How are your writing skills? If you don't have writing skills, you are not going to make much, if any, money writing for YCN. You need to have decent grammar and spelling skills in order to expect decent upfront payments. If you want readers and staff to take you seriously, you better be able to form sentences that make sense. Otherwise, you are not going to earn top dollar for your thoughts. If your writing skills are especially bad, expect to receive rejections until you can learn how to pull it together. The Yahoo! Style Guide is a great resource for basic grammar and style guidelines. But if you need more than the basics, grammar and writing classes will be very beneficial to your writing career. Earnings are up to you. Because there are a variety of ways to earn at YCN, it's hard to give people an exact figure. However, the fact that exact earnings per article are not set in stone also leaves earning limits up to the writer. That's you. The limit to your earnings is determined by what you are willing and able to do. One person may be able to write ten articles per day and another may only be able to write one. Of course, both may still make a similar amount if that one article gets more views and/or a better offer than the ten. *Note: Author is currently a staff member at Yahoo Contributor Network, but was not at the time of this writing. 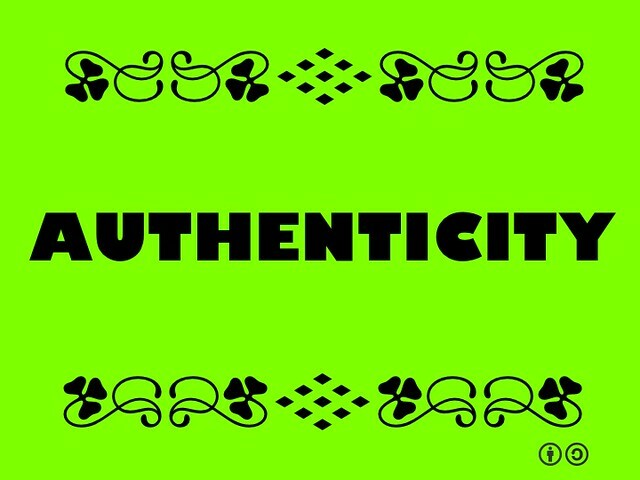 Are you authentic in your writing? I'm not talking about facts here. Hopefully, you can answer yes to that. But are you true to yourself in your writing? Do you write with passion or do you just write anything? Own each piece of work you write by making it authentic. For instance, don't claim to be an expert on a topic you know nothing about just to get paid. It's one thing to write a well-researched piece or a piece with personal experience. But it's a whole other ball game to wrote something you have absolutely zero knowledge or experience in. You may be able to slide past the radar with that at times. But it will eventually catch up to you and ruin your entire writing career. Instead, write what you know through studies or experience. Your clients will appreciate your authenticity. Readers can see right through writing that lacks connection from the writer. On the other side of the coin, they also value and feel content that contains the writer's authentic knowledge and experiences. Be authentic. Be you. Be hired. Be read.